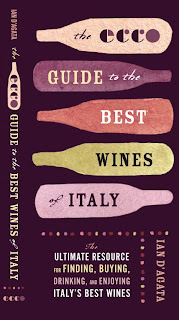 A couple years ago I worked on a cover for Ecco called The Ecco Guide to the Best Wines of Italy. The original direction was to make a label for a wine bottle that held all the type (an idea generated in-house that was a pretty firm concept), and then print the label and place it on a bottle. Here is a mock up of the original comp in that vain. There are many wine guides in the market using wine stains and wine labels, but I could not find many that had a hand made element. For another approach, I painted small bottles not really knowing how I would use them at first. Watercolor paint seemed like a good fit since since it could evoke the wine-stained look without the cliche. I painted the bottles in different shades to cover all the wine varieties included in the book. In the end, with a revised title, stacking the painted bottles to contain the type turned out to be an effective solution. First up, Alison Forner, who works with the mighty talented Allison Saltzman at Ecco. I've been really impressed with Alison's work. This one stood out to me for the combo of hand drawn elements and beautiful typography. The scale of the type is really effective and the "celebrating" copy is deftly handled (no burst here...). An unused comp...too bad for all of us. Jen Wang has received a lot of attention for her illustrative Penguin covers which can be found at her design:related portfolio. What I like best about this cover is what it doesn't have...a photo. Besides, who doesn't love a type only cover? The type is the image and that's enough. Having worked on quite a few university press titles, I can tell you it's tough going sometimes. So often you're faced with an obscure subject matter. This cover by Natalie Smith is a beauty. A smart, unexpected solution and elegantly handled. Plus, the use of color is wonderful and truly evocative of place. I love black and white covers and essentially this is one. Designed by Jaya Miceli, this unused comp pairs an organic line drawing with stark typography--a beautiful contrast. To reinforce the variety of Jaya's work, check out the final printed cover she designed. The simple line drawing of an envelope brings this unused comp by Jennifer Heuer to a whole new level. I love how the overlaying lines contrast & ultimately balance the retro type styling. A very smart solution to a book of letters, sidestepping the all too familiar use of an actual envelope. These are just a few of many talented designers. I'll continue to post a monthly feature and will have other posts on Noted work. Oh, and go hire all of them quick.